Where do you report a suspicious Tweet? This might be a serious national security issue – in fact, I feel very strongly someone in our counter-intelligence should be investigating this matter! Today on Twitter I retweeted a tweet, just so I would have it and because it’s about something that has been bothering me since 2013: Elizabeth O’Bagy. I strongly suspect John McCain is being targeted by a hostile foreign intelligence service, to make him look bad. I strongly suspect he was set-up in 2013. Here’s the Tweet from the afternoon (9/28) and I don’t know if this has been Photoshopped or not – BUT it is VERY peculiar. @Evan_McMullin @MeghanMcCain Look Meg, your dad and Egghead have the same Muslim Brotherhood friend. I sure suspect that Alicia Machado Wikipedia exposure was a savvy foreign intelligence agency at work, but this crap is even worse. A person commented, “FYI Nikolaki is censored in France”. A few years back, I was exploring “crowd-sourcing” and a “conservative” blog, The Last Refuge Blog”, which has gained a good deal of attention in this 2016 election. They had a “crowd-sourcing” format, that covered, among other topics, the black grievance industry, of black political leaders/activists sensationalizing police/black issues. To make a long story short, I was fascinated with the amount of information they churned out, but I wondered about the fact-checking process and I wondered why they allowed overtly racist comments. I posted some comments on Islamic history from the Islamic Golden Age (YES, there really was an Islamic Golden Age). My comments were blocked and I ended up being banned. When Trump entered the race, something bizarre happened with The Last Refuge blog – it became the Trump Polling Update Center, with constant streams of “Trump winning in all the polls” propaganda and campaign insider information. Considering the Trump campaign has been a disorganized hot mess, I found it amazing that this blog had up-to-the-minute insider campaign news, videos, and PILES of polling information. Sure, my questioning nature makes me consider “conspiracy theories”, but the TRUTH is sophisticated intelligence agencies around the world, run long-term programs targeting their adversaries (these are by nature “conspiracies” – in that these secret activities are meant to undermine or harm their adversaries). So, it’s no big deal to me, to be dismissed as a “conspiracy nut”, because I just keep digging for information. The Russians are reported to be engaged in a high-level of interference in our election. Back in the Fall of 2013, I became curious about the push by the Institute for the Study of War (ISW) to urge President Obama to get engaged in the Syrian civil war. The argument was we needed to stop ISIS and arm the “moderate Syrian rebels”. Why on earth we would jump into a civil war, with Afghanistan, Iraq and Libya in chaos, Egypt trying to regain stability after the Hillary/Obama backing of the “mostly-secular” Muslim Brotherhood, eluded me. Then there was the basic question: what is the end game plan if ISIS and Assad are defeated? The truth is Syrian rebels were varying shades of Islamists – none actually “moderate” and all of them, even though they fight each other, when push comes to shove, they will work together against Americans. A young woman emerged from the ISW, as the subject matter expert on Syria, Elizabeth O’Bagy. Everyone from Jonh Kerry, to John McCain, to the media bought into O’Bagy, because the ISW put her forth as The Expert on Syria. O’Bagy, did not have a doctorate degree, she was the political director of a lobbying group called the Syrian Emergency Task Force (SETF). She wrote a paper on Syria, in 2012, for the ISW and in her bio, she listed her thesis topic as “female militancy”. Since the ISW never even vetted her educational credentials, I doubt they looked closely at her background. She was exposed as having lied about her educational credentials and was fired by the ISW. Senator John McCain, turned right around and hired her, as a legislative assistant. “At another hearing that week, Kerry responded to a lawmaker’s skepticism about the existence of moderate rebels by saying that only a fraction of the fighters were “al Qaida and the bad guys.” Maybe 15 to 25 percent, he estimated. 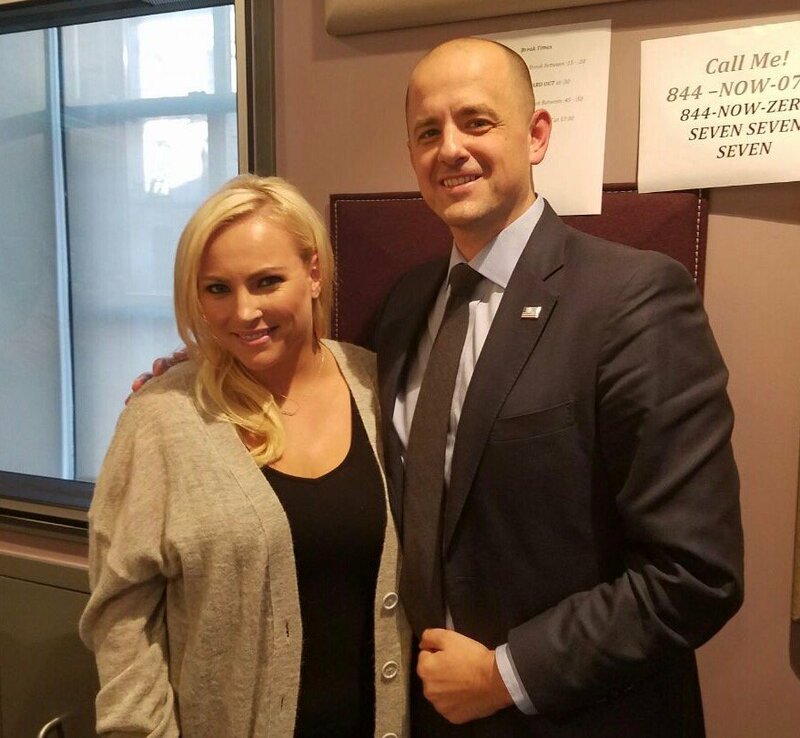 I have no idea who to contact, but someone should be checking out this tweet – it was posted to Evan McMullin and Meghan McCain. The Washington Times,,though by the time our government got wind of it, the election would be over and mission accomplished.